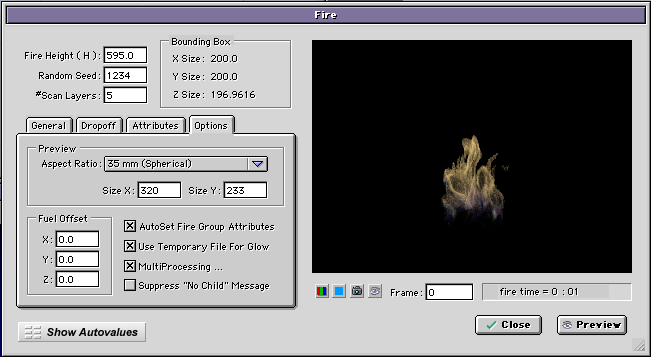 The Fire plugin is a 3d volumetric system to create fire effects in Electric Image Universe. automatically. Then you can define how the fire will look and behave based on real life physics of burning gases. burning surface, how flames look, including color, deviation and many more. With this new system you will be able to reproduce high quality fire effects for your scenes. "Special thanks to Tomas Egger and Luis Angel for their help with beta-testing of these plug-ins on MacTel"